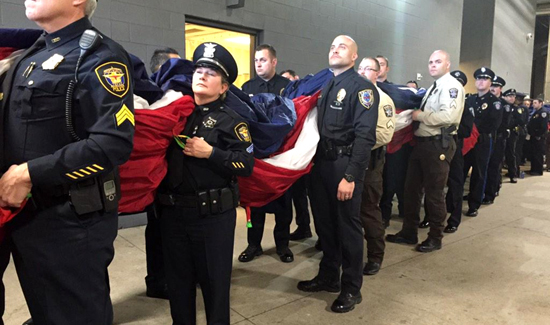 The excitement was in the air as 200 officers were honored at a recent Dallas Cowboys game. I saw some of the pictures from the rehearsal but when i was watching the game the network thought that it was more important to show commercials. They did show the officers leaving the field with the rolled up flag for about 2 seconds.